Welcome to my website! Thanks so much for dropping by. I’m a celebrity journalist and author with a passion for Twilight, One Direction and rags to riches stories. I began writing books seven years ago and I’m the bestselling author of One Direction A-Z which reached number 2 in the Sunday Times bestseller list and spent three weeks in the paperback non-fiction 40. 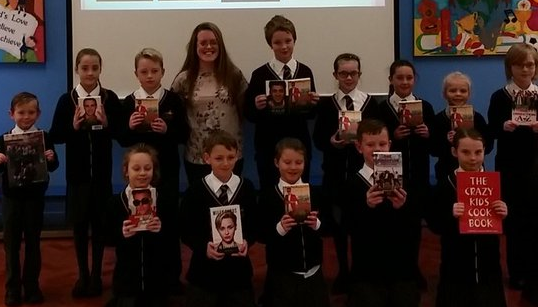 I’m also the author of Robert Pattinson A-Z which has sold more than 20,000 copies and which resulted in the creation of a successful best-selling series of A-Z books aimed at children and adults. I don’t just write books about people, I write about animals too and I’ve just started writing picture books! If you’re looking for a non-fiction and fiction author, I’m your girl! 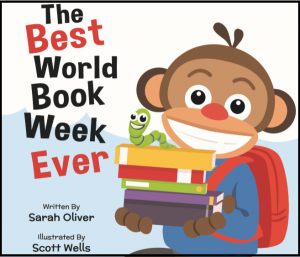 My first picture book ‘The Best World Book Week Ever’ is out in January. It tells the tale of Danny, a cheeky monkey who loves to read all kinds of books, and is celebrating World Book Week with the rest of his jungle class. This story is perfect to read in the run up to your own World Book Week, or as part of your school’s own celebrations. It’ll encourage reluctant readers to try new books, and get everyone in your class/school excited about books and reading. The children can have great fun dressing up as Danny and his friends when I visit schools as I bring lots and lots of props. 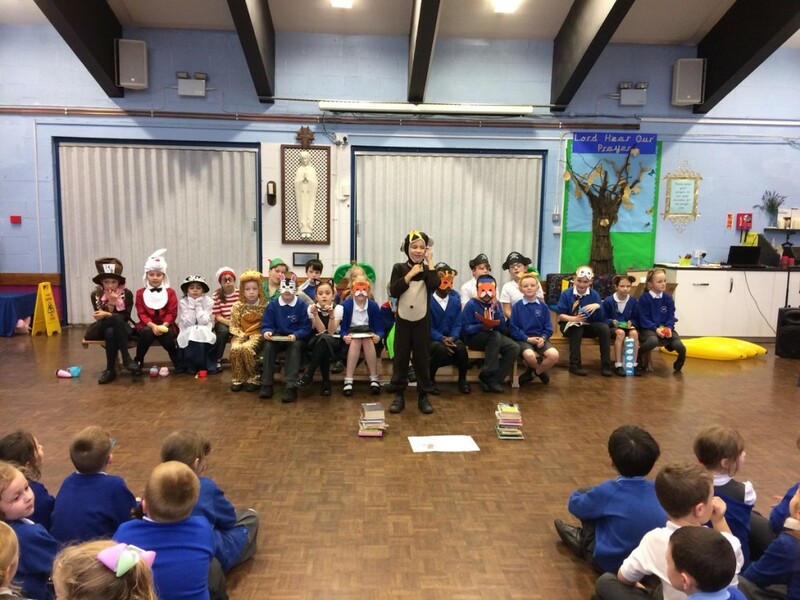 The older children could even perform the story in an afternoon assembly to the rest of the school if you like. 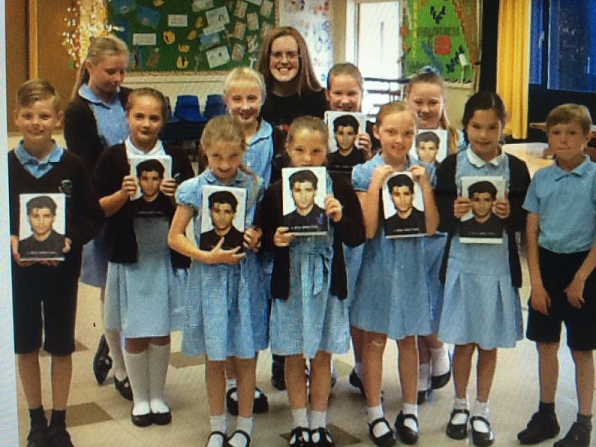 Here is a photo of the Y5 children from St Mary’s RC School doing just that. Earlier in the day we’d worked in groups to write our own pages and the narrators read out what every child had written, with the other children acting it out. 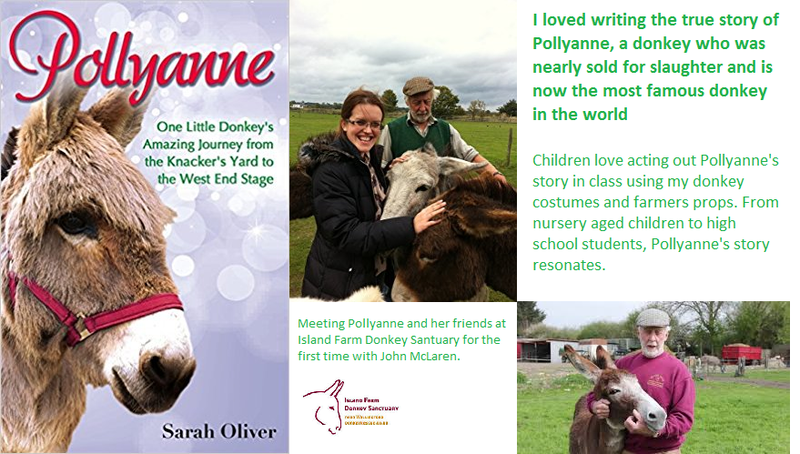 As well as ‘The Best World Book Week Ever’ being popular in schools, my true life story ‘Pollyanne’ is also a big hit. With my Pollyanne writing workshops we discuss what makes a good blurb and come up with our own amazing animal stories. “When I heard that Sarah Oliver was coming into school I was ecstatic – I really was excited! She explained her job clearly and everyone was engaged. To get us involved she gave us roles that we could all do; this also showed us what it was like to be an author. At the end she answered any questions we had. It was amazing! !